Upper Mustang | Adam Tours & Travel Pvt. Ltd.
Upper Mustang Trek: We “Adam Tours & Travel (p) LTD.” Offers you 17 days Upper Mustang Trek which is spectacular trekking into the remote Trans-Himalayan mountain area with Tibetan influence culture and history. The Upper Mustang trek brings you into the hidden world of the old Buddhist kingdom of Mustang which is probably the most mysterious and least known kingdom prosperous with vistas including unusual and eye-catching views of the snow-covered Himalaya, barren high plateaus, deep canyons, and an ocean of exposed hills the colors of a desert sunset. During this trek it explore the thousand years of old monastery, caves, local tribes and scenic beauties of the different landscapes which are the major attraction of this trek. Upper Mustang region is a land where the soul of man is still considered to be as real as the feet he walks on, while the land itself is almost treeless, a steep rocky trail up and down hill and panoramic views of Nilgiri, Annapurna, Dhaulagiri and several other peaks, barren landscape with a countryside similar to Tibetan plateau where beauty and happiness flourishes, in spite of hardship. Hidden behind the majestic Himalayan ranges, this isolation helped the people of Mustang to maintain their lifestyle and heritage that remained almost unchanged for centuries. Undamaged by modern progress as all elements of the Nepal Himalayas, UpperMustang trekking is suitable for any trekkers looking forward additional challenging and adventures. The Himalayan Mustang Region, also known as the Last Forbidden Kingdom, since the region was restricted for outsiders until Nepal Government announced the opening of the restricted areas in October 1991. Make an adventure starting from world’s deepest gorge Kali Gandaki Region into world’s highest regions of Lo-Manthang Valley. The trek passes through high peaks, passes, glaciers, and alpine valleys. Mustang is the hinterland enriched with mainly barren ridges, deep canyons, eroded cliffs and Moraine valleys. Upper Mustang Trek is under the rain shadow of the massive Himalayas range whose landscape is unrivaled for it has a stupendous wilderness, pristine scenery, snow capped peaks, spectacular 16th century monasteries and many other unique attractions. The view of windswept Kali-Gandaki valley, vast spaces around Kagbeni and vast ridges that straggle high mountains provide a mind-blowing experience. The sky is a vivid blue contrasting with the red and yellow and grey of the wind-eroded cliffs. In the late morning, the wind gets up and buffets you as you walk further into this parched land of wondrous beauty. Another attraction in the Mustang region is the Tiji Festival influenced by Tibetan Buddhism, which is timed to coincide with the end of the dry season (late winter/spring).The house and monasteries in Upper Mustang has medieval look and exclusive local architecture built with stone and sun baked mud bricks. Very little intrusion from the modern world makes this region Nepal’s natural and cultural treasure. Mustang’s history, as well as it’s natural and cultural treasures have made it one of the most mysterious and intriguing trekking destination’s in Nepal. 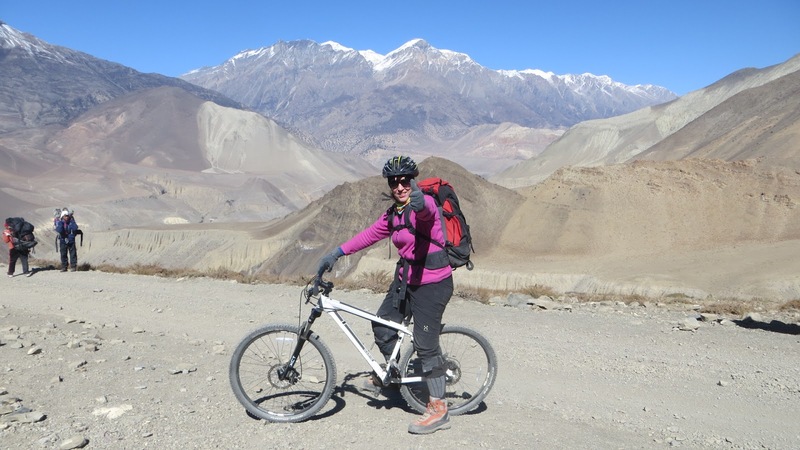 The one who wants travel around challenging trail “off the Tibetan path” around the Trans Himalayan area the Nepal Mustang trek would be the enormous adventure trekking. Day 03: Flight or Drive to Pokhara, 25 minutes flight or 6-7 hour drive. Day 16: Pokhara to Kathmandu, 25 minutes flight or 6-7 hour drive. Day 2:A full day sightseeing tour of Kathmandu, the capital valley, Make Permit for the trekking. Day 16:Pokhara to Kathmandu, 25 minutes flight or 6-7 hour drive. Trip Snippets: 17 days, 5 night’s hotels, 11 nights Lodges, Breakfast in the city and breakfast, Lunch, Dinner during the trekking.